This amazing property has several existing structures on the grounds that can be converted easily into a full time hotel. It is the ideal spot for backpackers and surfers alike. 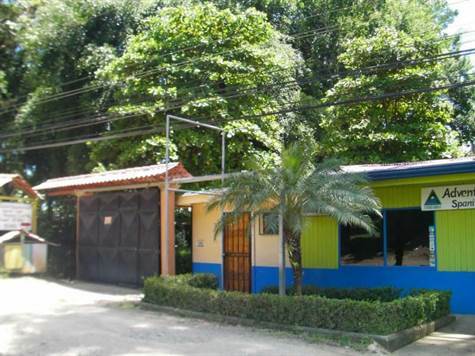 Within walking distance to beach and the main downtown of Playa Dominical. The property exists of: Main house with large patio overlooking the river and views of the Dominical river mouth. Six individual cabins complete with bathrooms. Six more outside cabins that have been used as classrooms that could easily be converted to rooms. una bodega Main office with large main bedroom for cartaker. Gated entrance to property. Over 90 meters of Commercial road frontage downtown Dominical.